As airlines continue to crack down on suitcase size, weight, and carry-on allowances, luggage companies are often faced with compensating quality and durability for weight. I’ve seen some of the current suitcases on the market begin to show signs of wear after only a few trips. Suitcases that used to be rugged and somewhat heftier have stood the test of time (I still have an Air Canada trolley suitcase that’s withstood numerous global destinations; unfortunately the bag’s no longer made). 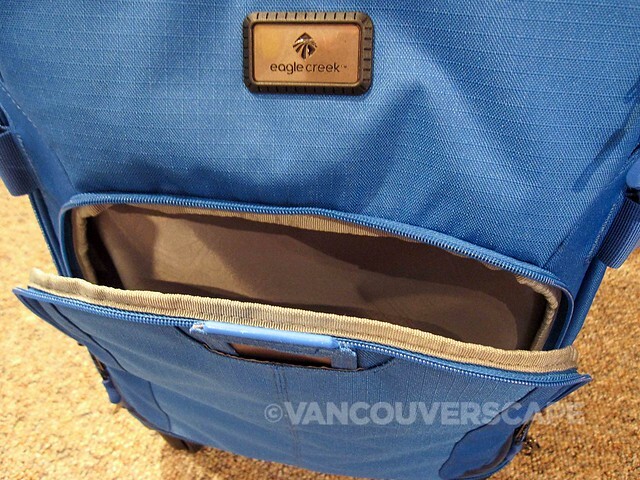 I was recently sent a couple of Eagle Creek products to test-drive: the EC Adventure 4-Wheeled Upright 22, and an accompanying Pack-It On Board toiletry kit. 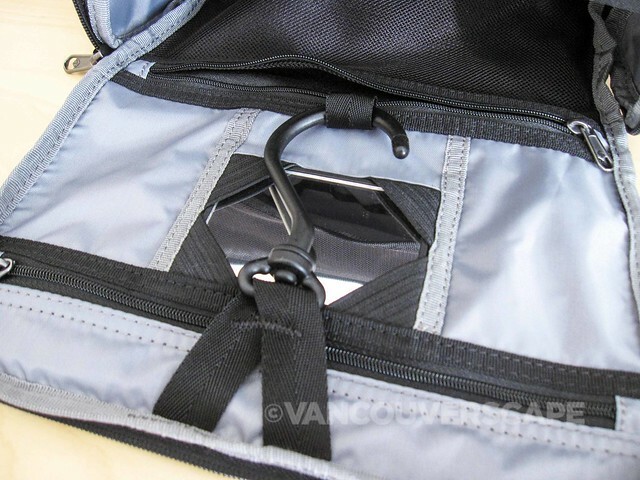 Eagle Creek’s known for their lifetime “No Matter What” warranty and stand by their products. 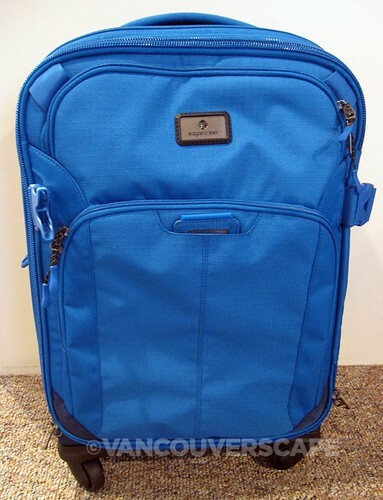 They’ve also been in the business of selling durable, innovative luggage since 1975. 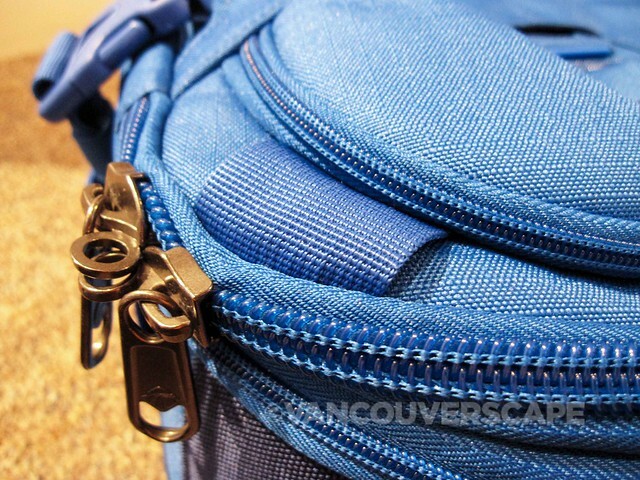 Over the years, I’ve done my fair share of globe-trotting, carrying Eagle Creek and Jansport (another outdoor outfitters with a solid history of quality travel products) packs on my back. 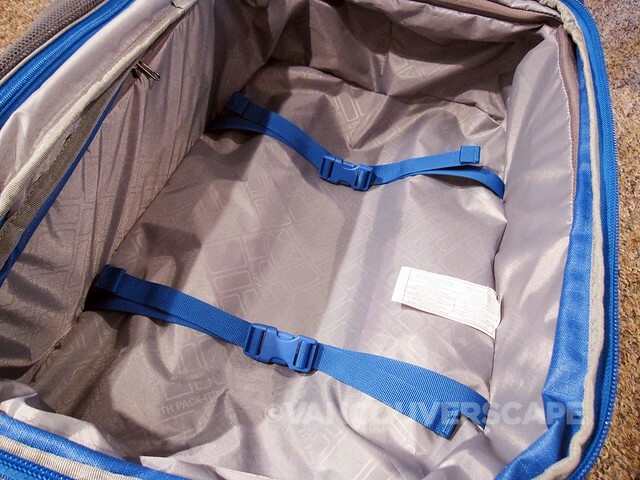 The EC Adventure’s loaded with great features, from four multi-directional wheels at the base to padded compression wings to keep your clothes secure and help against wrinkling. The first thing I noticed was its weight: the bag’s a mere 7 lbs. 13 oz. (3.54 kg). Considering the smooth-lifting handle, two-way locking zippers, and integrated wheel system, this is one pretty lightweight bag! 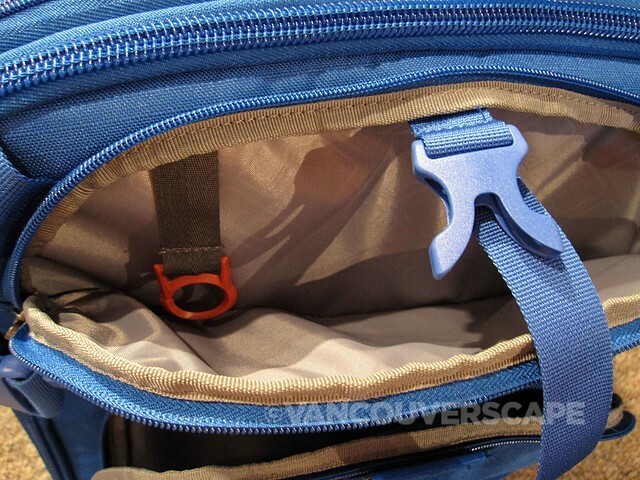 A top front compartment stores a key fob as well as a strap that can be used to piggyback an extra bag onto the suitcase for transporting ease. 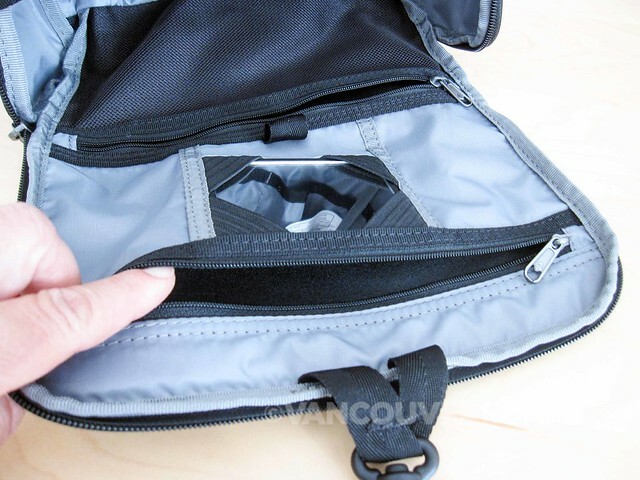 A larger zipped pouch further down the front can accommodate a laptop, tablet, books, or magazines. 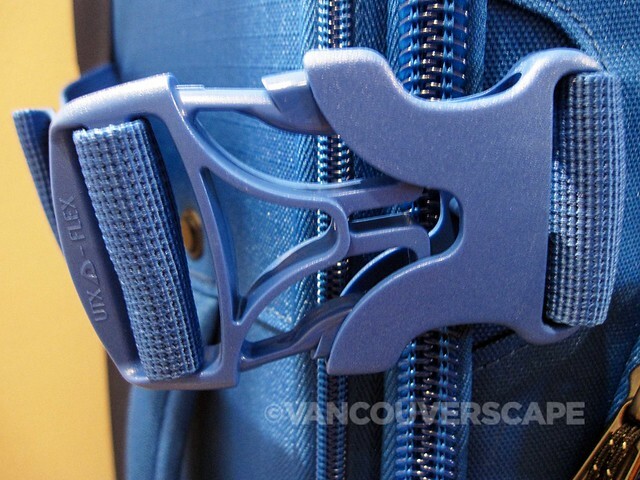 When zipped, the EC Adventure 22 offers more security via two large side clips. 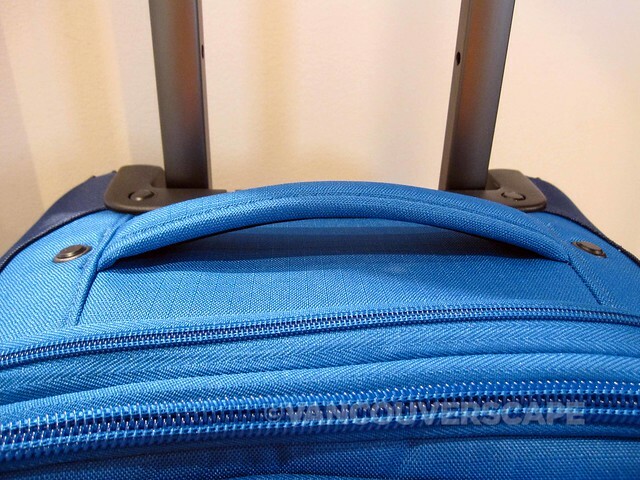 At top and bottom are carrying handles for lifting in and out of overhead airplane and bus compartments. 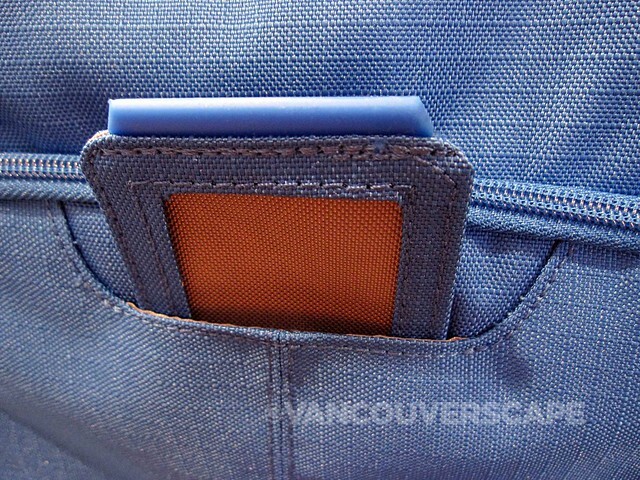 An elastic-sewn matching fabric ID tag pulls up and stows away for privacy. 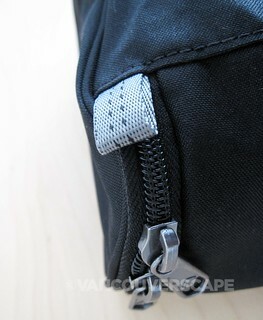 Inside the bag, you’ll find a main storage compartment with clips to keep your clothes in place. 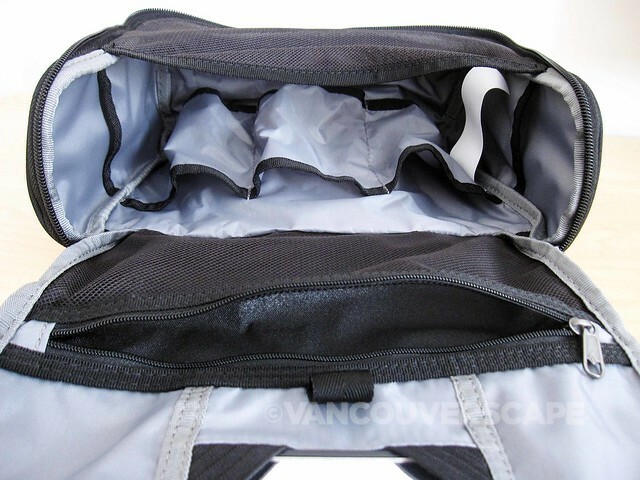 A side zippered area with mesh top can accommodate items you’ll want easy access to, or use with Eagle Creek’s Pack-It organizing system of Folders, Cubes, Sacs, and Sets, all designed to make life easy and packing a breeze. 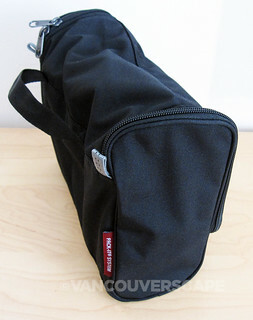 I found this bag to be pretty roomy, perfect for a few days on the road. 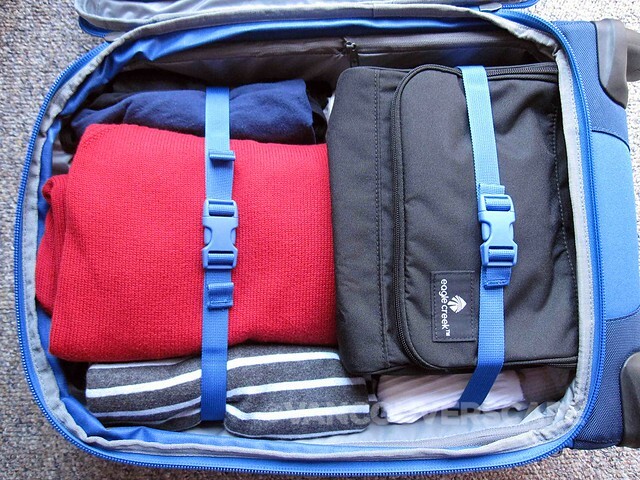 If you wind up with extra stuff, the bag expands for 15% more space. The EC Adventure is made of easy-to-clean, tear-resistant 600D Poly Ripstop, 600D Helix Oxford, and 1260D Helix Ballistic materials. 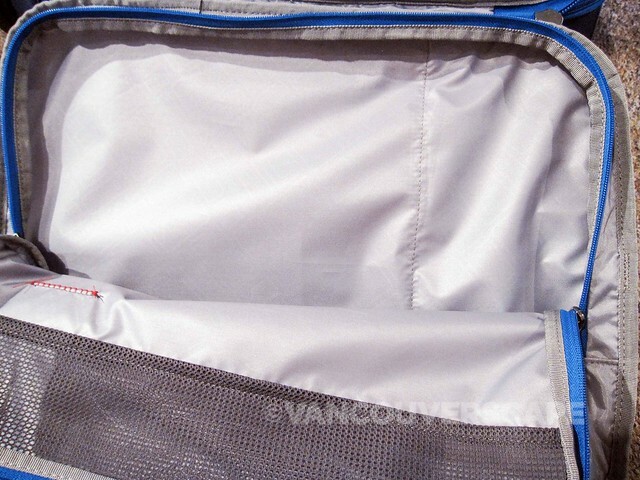 It has a capacity of 39 liters (42 liters when expanded). 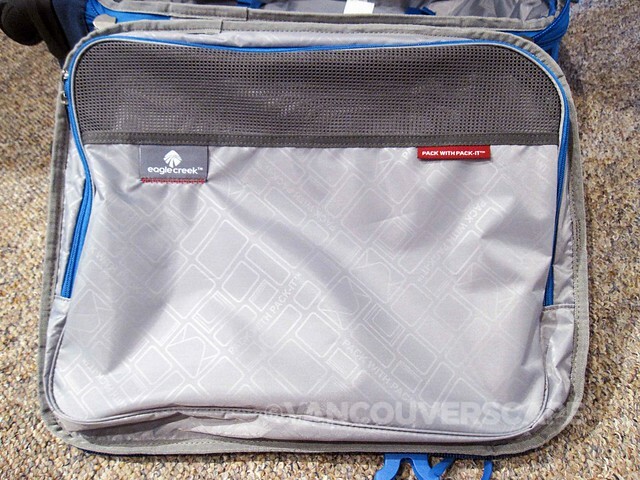 For carry-on convenience, this bag’s dimensions are 14” x 22” x 9” (35.5 x 56 x 22 cm). 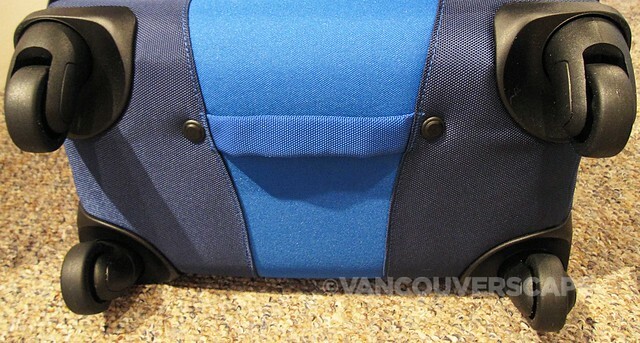 The EC Adventure is available in Cobalt Blue, Black, and Olive, and retails for CDN $295. I immediately went for the blue as it stands out from the rest of the black trolleys out there! 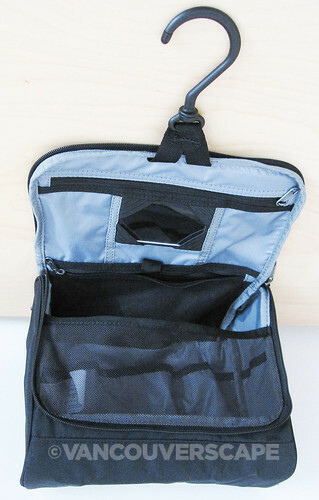 Eagle Creek’s On Board toiletry kit is also fully loaded with all kinds of storage space, a handy swivel hanger and mirror, plus outside carry handle. 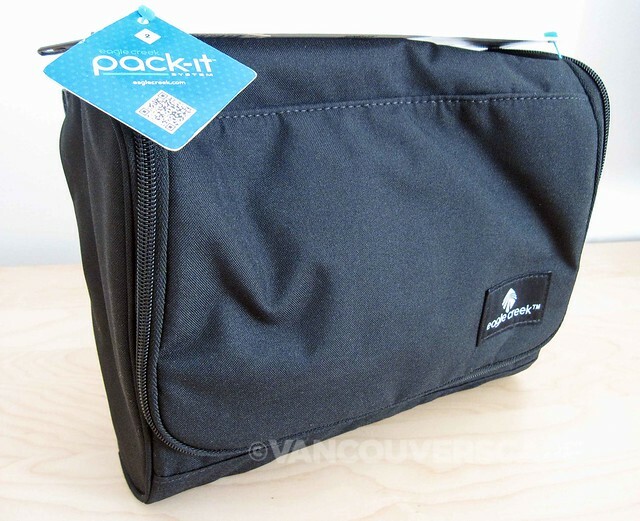 An inside zippered pouch with a mesh front keeps things easily in view and lets wet items dry. 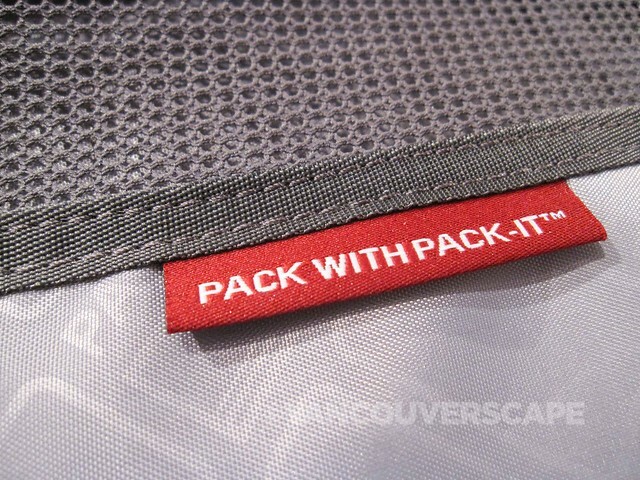 There’s also a mesh-lined outer area that also helps circulate air flow. 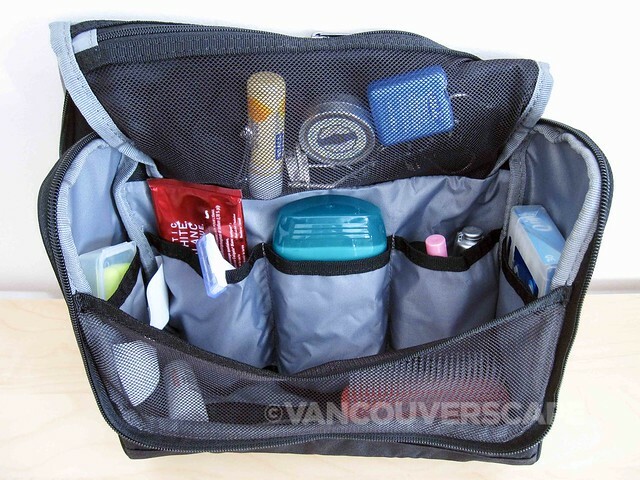 The On Board is smartly designed to hold a variety of toiletries of many sizes and shapes throughout. 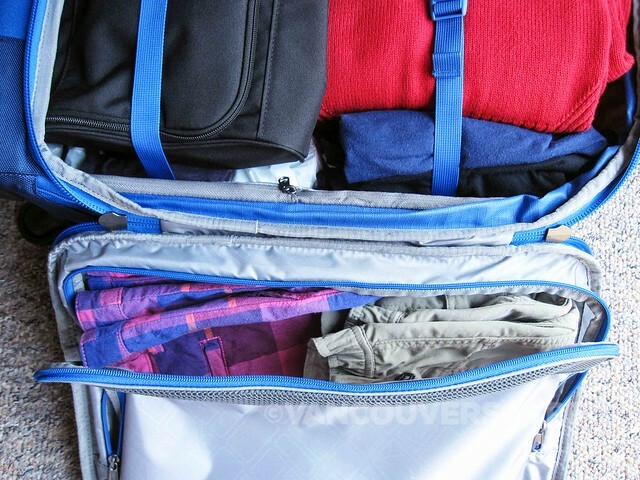 I also noticed that when the bag is packed with items at the bottom, it will stand upright on its own on a table or on a bathroom counter when the top flap’s unzipped and folded back. Very handy! Available in Red Fire, Blue Sea, and Black, the On Board is also super light at 6 oz. (170 grams) and is constructed using a 300D Poly Micro-Weave fabric. It’s washable, stain- and water-resistant, and carries a lifetime warranty. The On Board retails for CDN $33. I was sent both the EC Adventure 4-Wheeled Upright 22 and On Board toiletry kit for the purpose of test-driving for this feature.